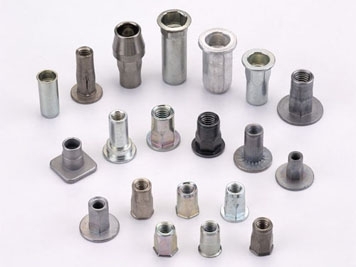 There are numerous special rivet nuts and studs that have been designed and manufactured to add value to our customer’s specific applications. The information provided on pages 12 & 13 will help to provide some ideas. The first step is to review your application and check our data base to see if we have an existing special that will work. If not we will design a special part that will. Our in-house design and production tooling departments can produce production grade samples within a few weeks. Tooling charges can be credited after certain quantities are delivered.